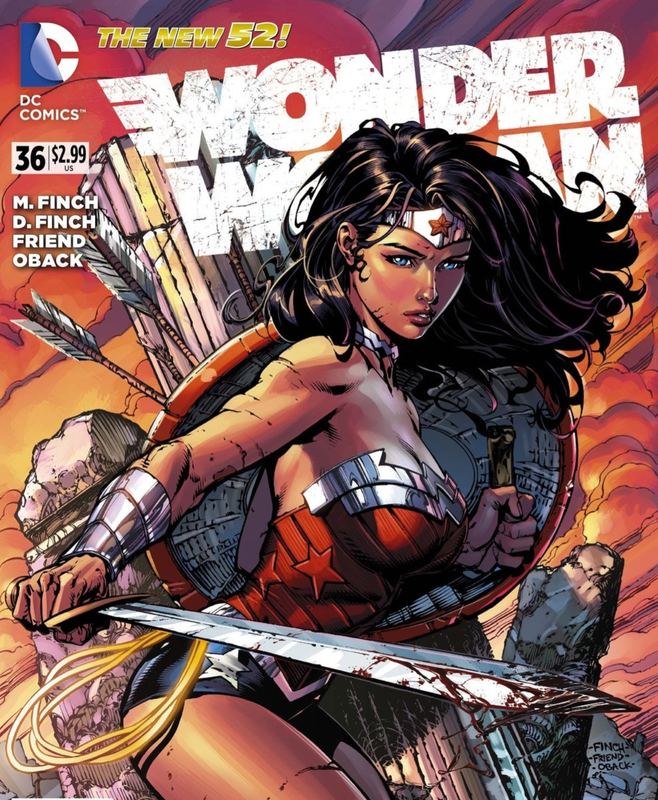 Wonder Woman #36 heralds the arrival of a new creative team as writer Meredith Finch and her spouse, artist David Finch take over duties from former collaborators Brian Azzarello and Cliff Chiang after their successful 3 year run on the title. With the hugely popular reboot of the amazing Amazon by Azzarello and Chiang, it will be a hard act to follow for the Finch duo, though I am liking what I have read so far and as ever David Finch’s artwork is awesome. When several villages in Thailand are destroyed by massive floods, Diana investigates what appears to be a terrible natural disaster only to discover that the floods are intentional when a mysterious figure is seen at each of the tragic incidents. 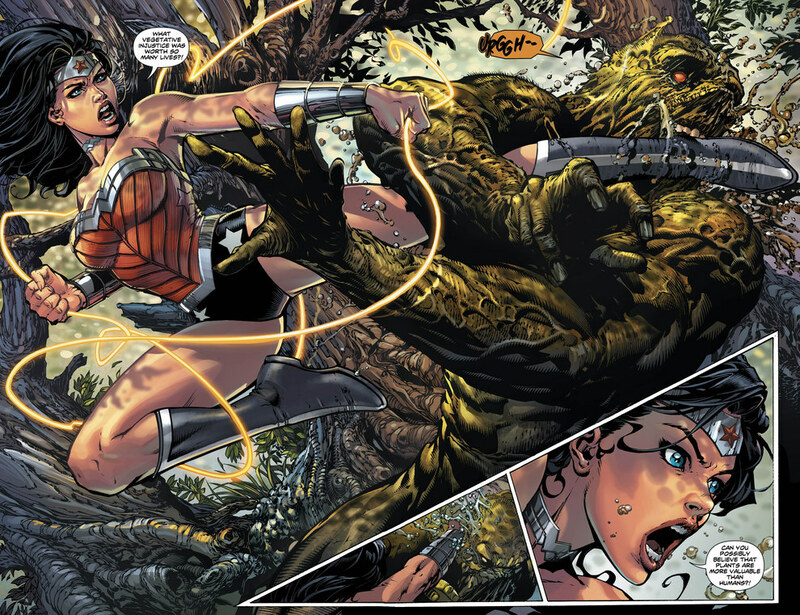 This issue also includes a knock down/drag out fight between Wonder Woman and Swamp Thing and a touching confessional as Diana tells fellow Leaguer Aquaman of her struggle to cope with her many new roles as leader of the Amazons, the new God of War and one of the founding members of the Justice League. Overall a good first issue from the new creative team, with a refreshingly different tone and style than Azzarello and Chiang’s run … recommended. Posted on November 21, 2014, in Comics and tagged Aquaman, Brian Azzarello, Cliff Chiang, David Finch, Meredith Finch, Swamp Thing, Wonder Woman. Bookmark the permalink. 2 Comments. Glad to hear you like it! I wait for the trades to come out and I’d be lying if I said I wasn’t nervous to see the Finches follow what I consider to be the greatest WW run of all time… and I’ve felt since coming across your blog that you & I have pretty similar tastes, so a positive review from you weighs pretty heavily. Thank you, yeah it was a good first issue from them, I have always liked David Finch’s art so wasn’t so worried about him but I haven’t read much by his wife so didn’t know what to expect … and it was pretty good! I think anyone following that great run by Azzarello and Chiang would have a hard time of it, it really was fantastic.